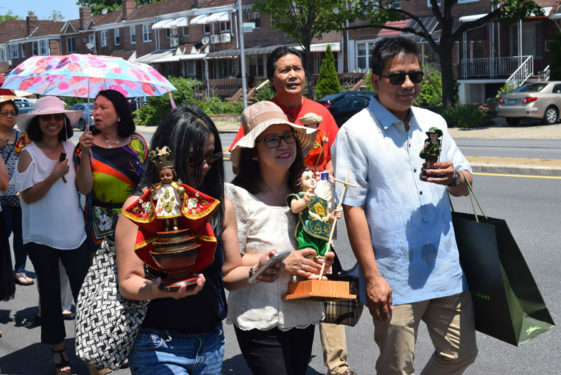 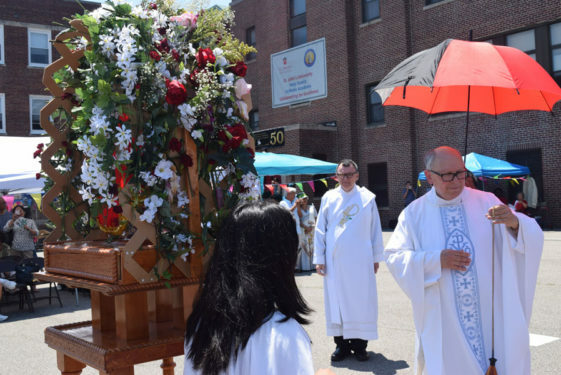 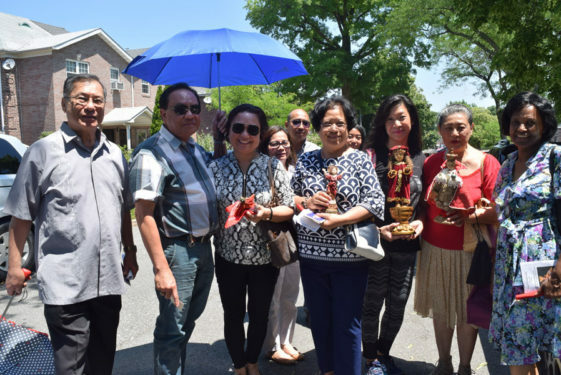 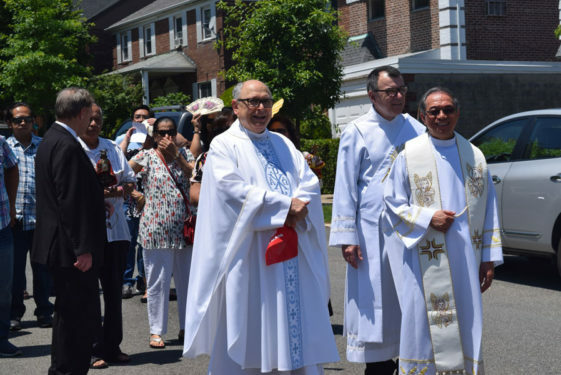 With great pride, Gozette Gamboa carried her customized Santo Nino statue alongside other members of the diocesan Filipino ministry as they processed through the streets of Holy Family parish, Fresh Meadows, June 30. 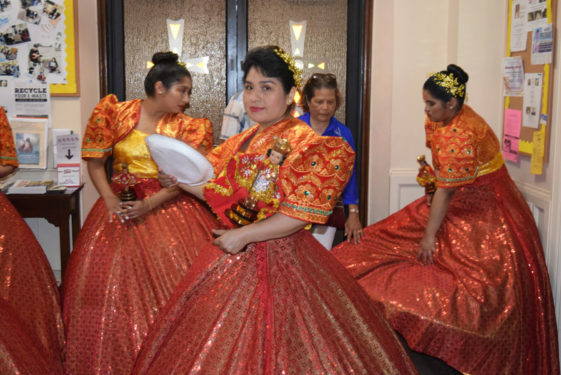 It took four days for the devout Catholic craftswoman to create the textiles for the iconic Filipino image of the young Jesus. 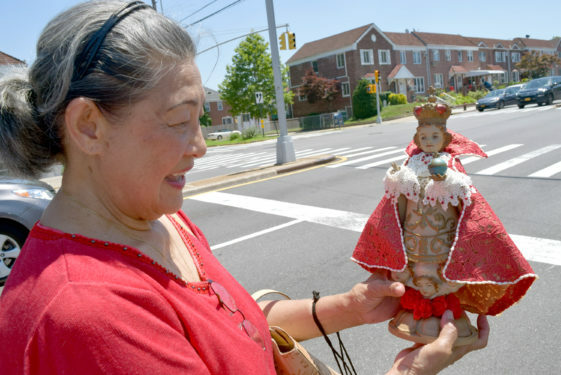 Thanks to the advice of her grandson, the statue’s tiny costume – a small red lace cape, white beads and crocheted sleeves – fit Jesus like a royal glove. 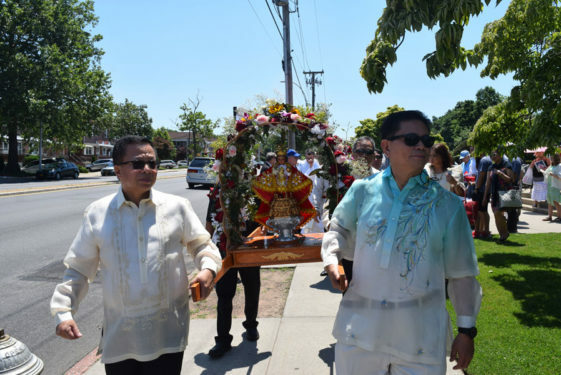 “I have a devotion to Him all year round,” said Gamboa. 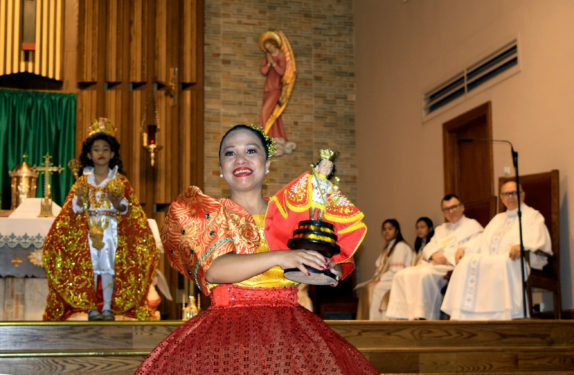 While the history of the Philippines’ mass-scale devotion to Santo Nino dates back to the 16th century, the Filipino faithful at Holy Family started celebrating the traditional feast four years ago. 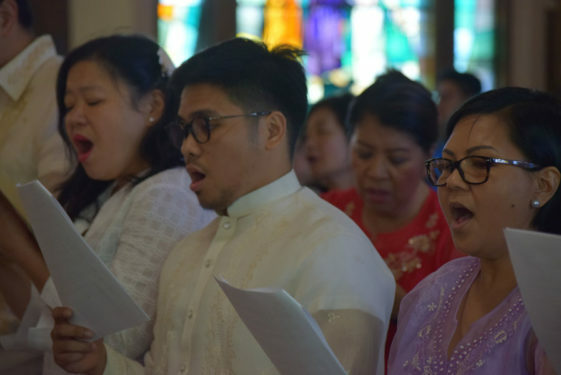 “The Filipino people come out with the entire family – which is lovely – the children included, and this is one of their favorite devotions,” said Father Casper Furnari, pastor. 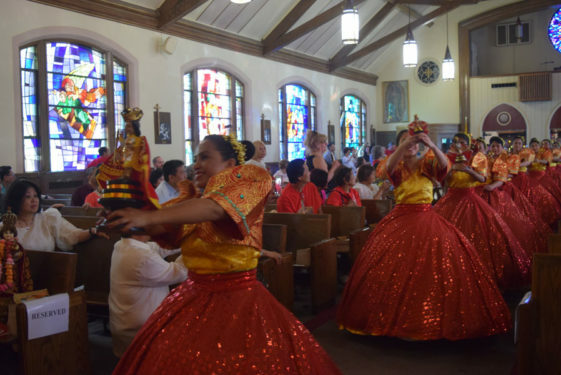 Since it began, the annual feast has gained popularity with other surrounding parishes. 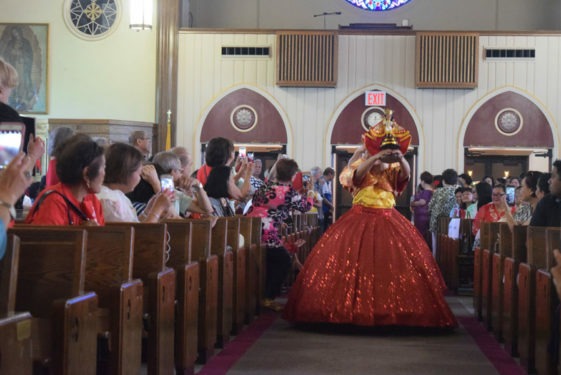 Angie Maniego helped bring the tradition from her native island back to Queens this year as one of the main event planners. 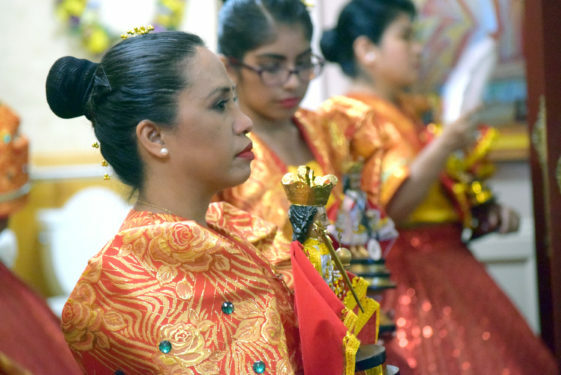 “This year has been exceptional,” Maniego said. 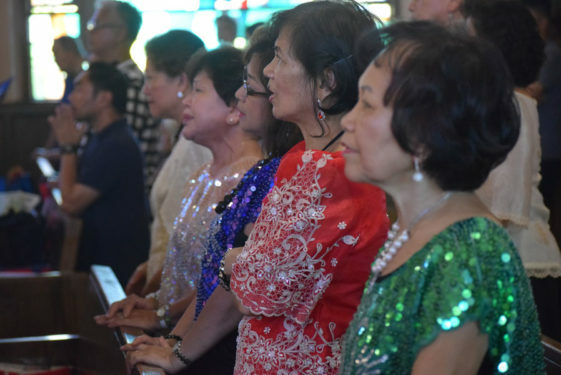 Her explanation for the faithful’s increased interest belonged to the Philippines’ traditional trifecta of faith, family and food. 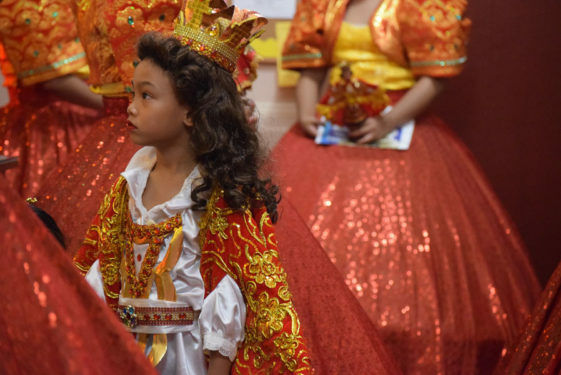 “Everywhere in the Philippines, there’s some kind of devotion to Santo Nino,” she added. 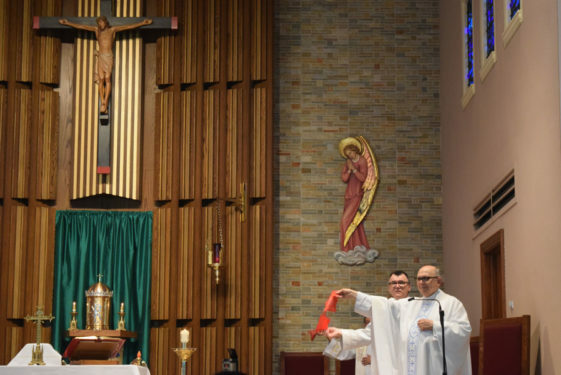 Fathers Furnari and Anacleto S. Asebias, Jr., parochial vicar, concelebrated the SRO bilingual Mass. 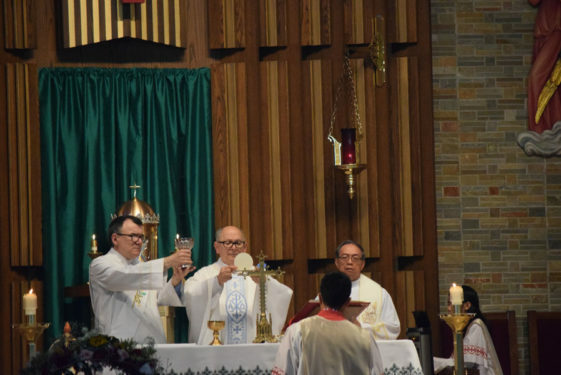 Nearly 200 people attended a eucharistic celebration, which was the culmination of a nine-week parish novena. 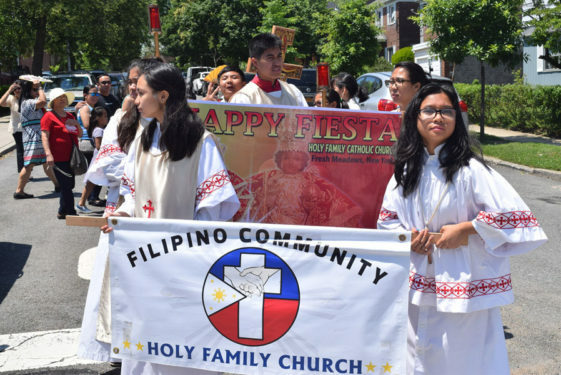 Father Furnari waves his Santo Nino flag during the festive Mass as part of the celebration with the Filipino community. 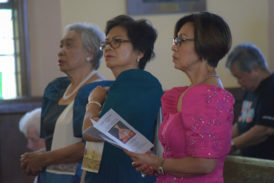 The colorful liturgy was rich in cultural connotations: men wearing traditional barongs, women in Filipiniana dresses, worship songs in Tagalog, Cebuano dancers dancing down the church aisles to the sound of native drums and women cascading to the altar with candles referencing the folk dance Pandanggo sa ilaw. 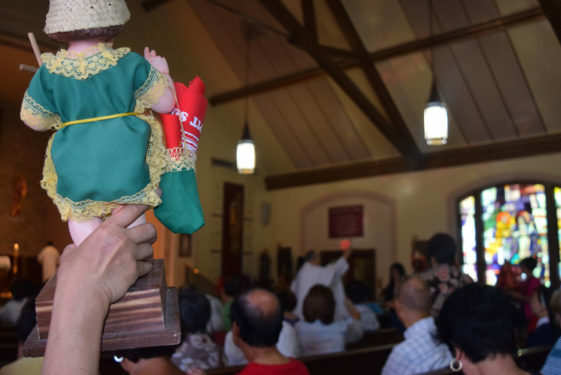 Father Furnari blessed those who brought their Santo Nino statues and blessed the children as well. 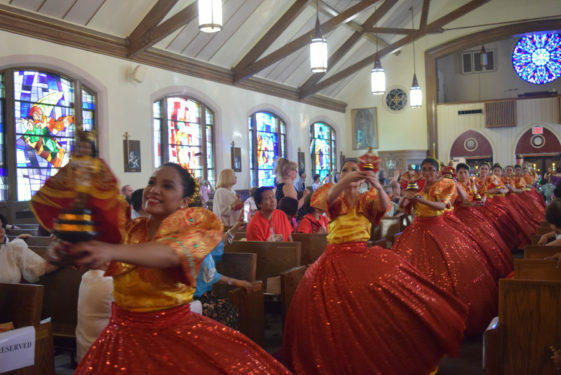 The congregation also included other cultures and faiths. 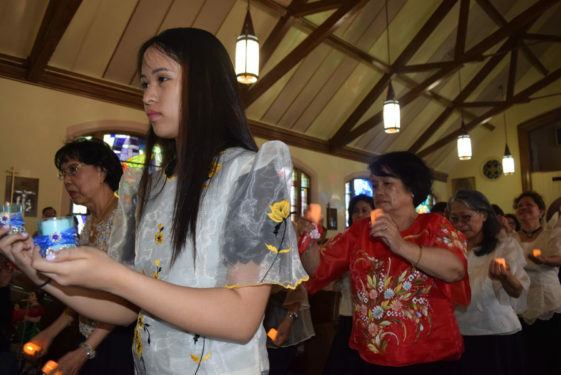 Even though she’s not a parishioner, Britu Haile frequents the church every morning. 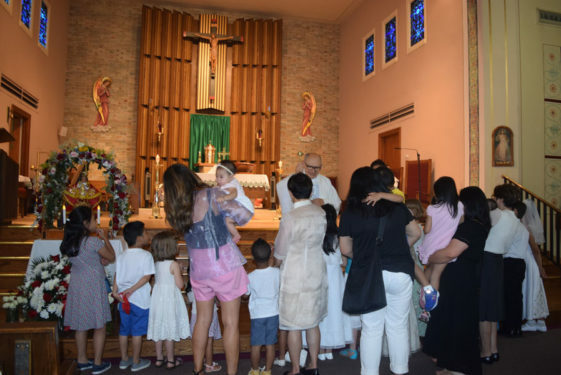 As an immigrant from Eritrea in East Africa, Haile finds comfort and beauty in Holy Family Church and its traditions, which align with her interests as a Coptic Christian. 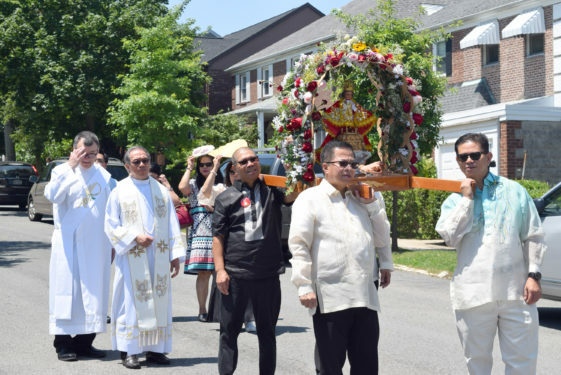 During the procession, she walked joyfully with her brothers and sisters in Christ. 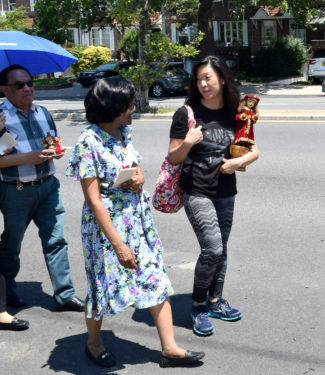 “I see that they’re going to have a feast, so I come,” said Haile. 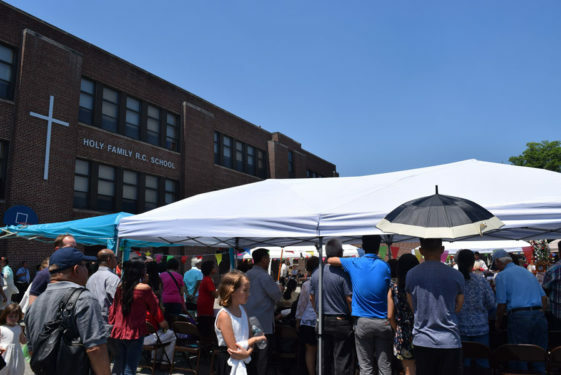 After parading down Utopia Parkway and 75th Ave. with sunshine to spare, the crowds gathered at the schoolyard under the tents for an afternoon filled with families enjoying food, dancing and fellowship. 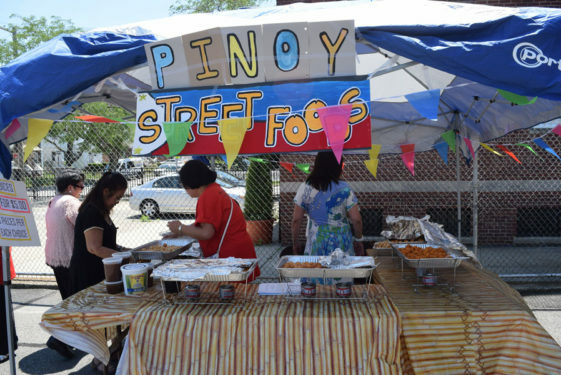 “This is always the highlight of our activities throughout the year,” said Father Asebias. 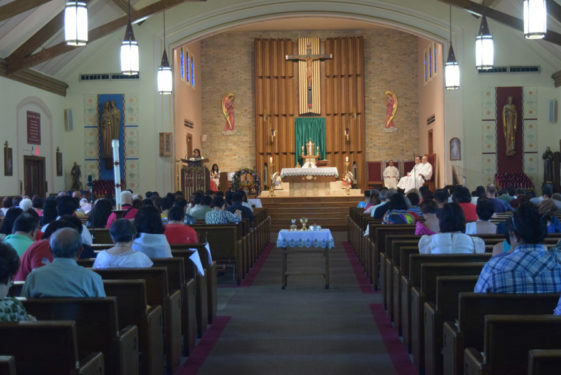 Nearly 200 devotees turned out to honor the Holy Child. 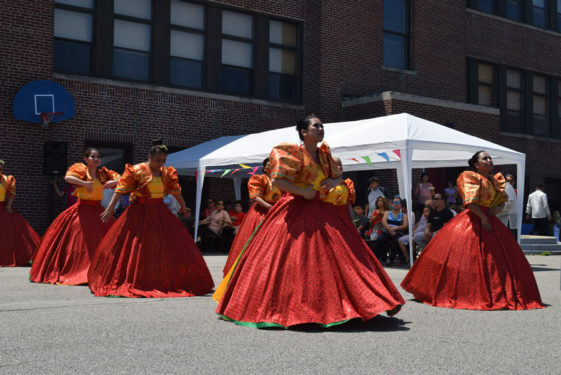 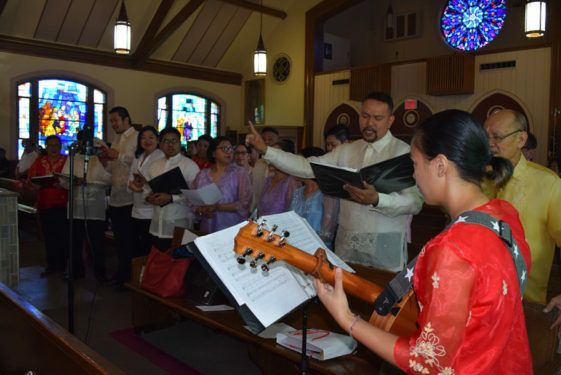 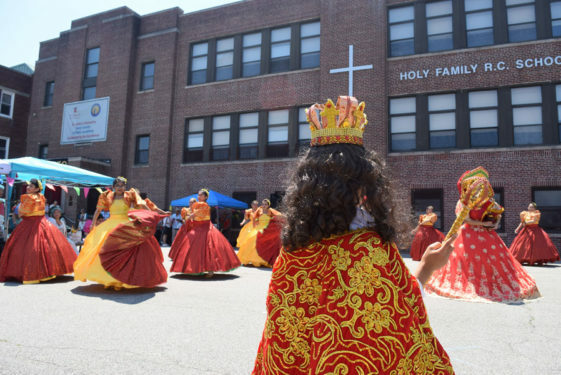 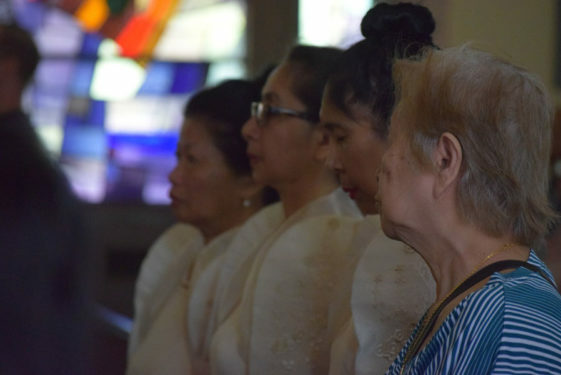 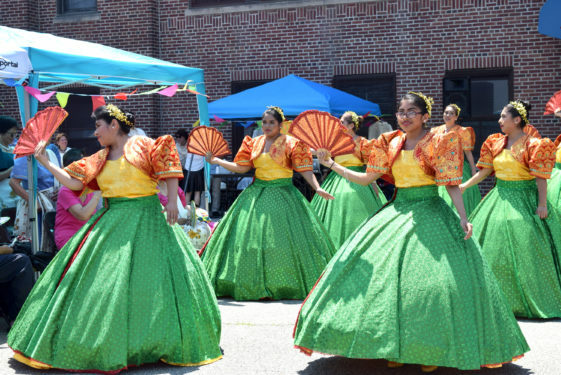 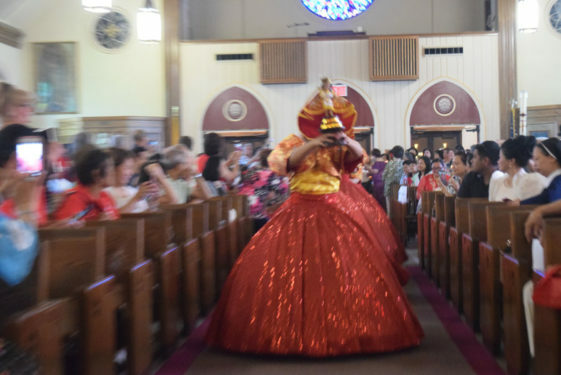 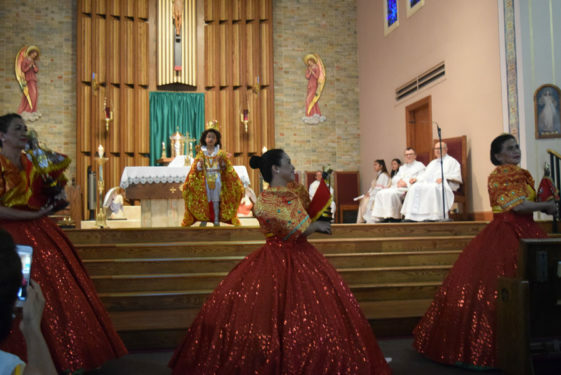 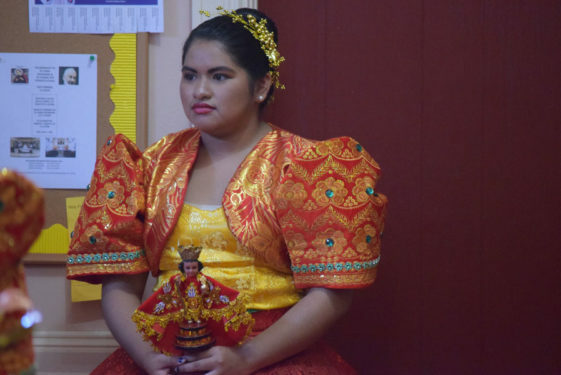 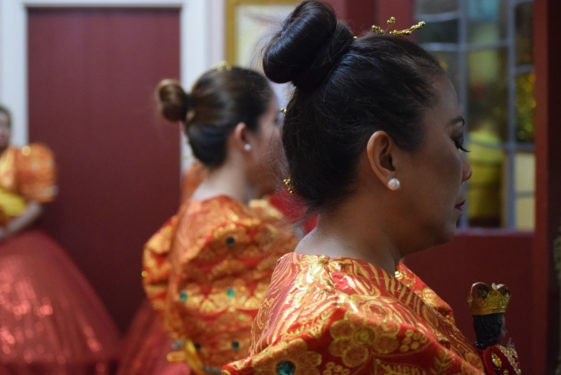 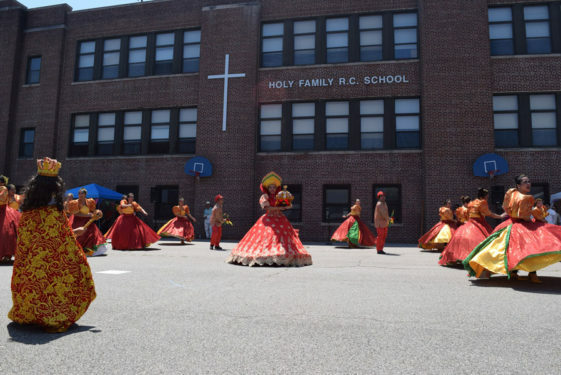 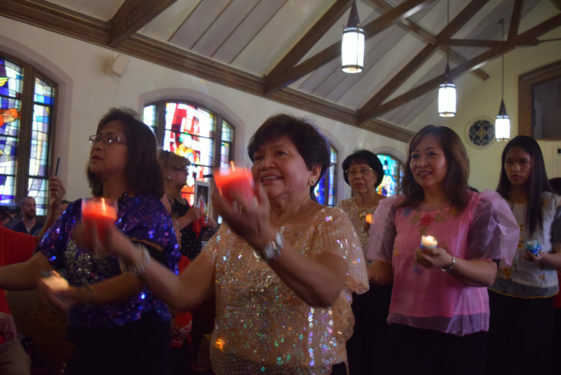 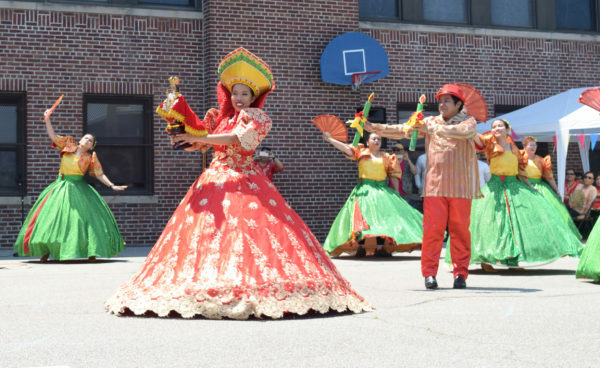 A liturgy rich in cultural connotations and a colorful street procession followed by traditional fare from the Philippines highlighted the feast of Santo Nino at Holy Family parish. 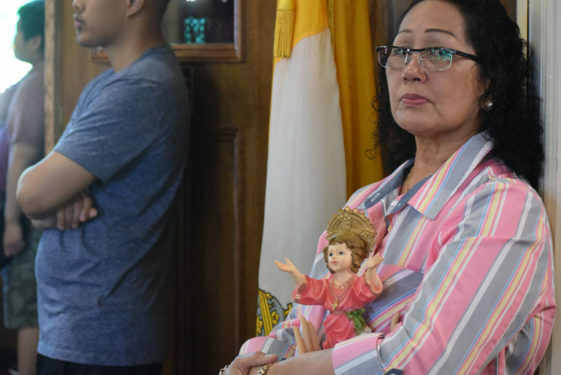 I believe that statue is the Infant of Prague. 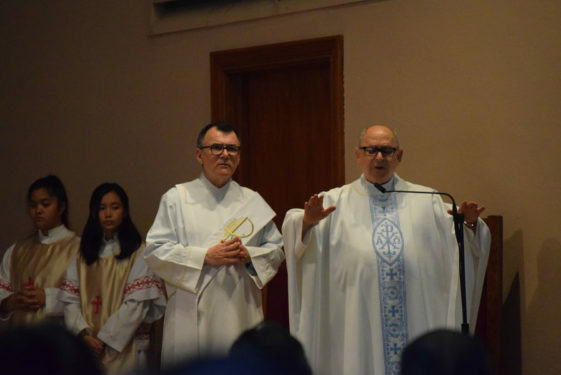 I had the good fortune to visit the Shrine in a Church in Prague. 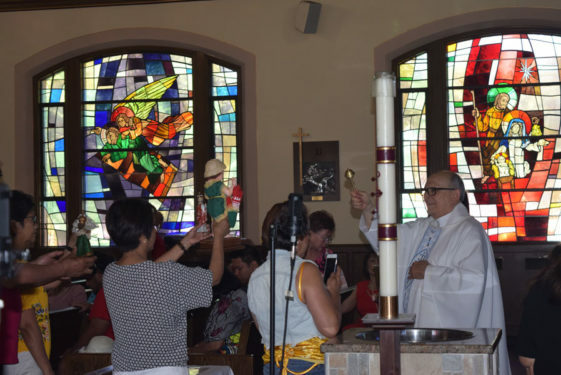 It is mainly visited by Italians and persons of Italian descent as myself.